To start off, heres a little history, which will describe how I got the car, etc. 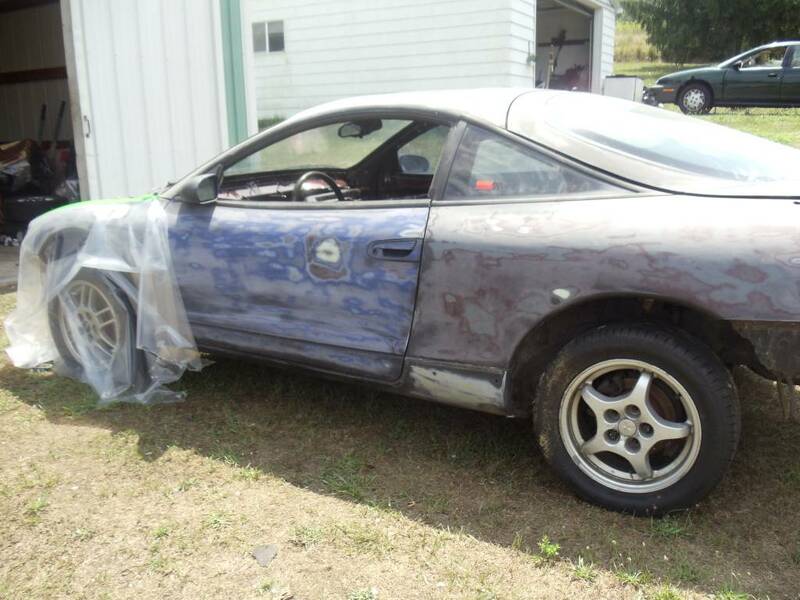 2 years ago, I purchased a 1997 eclipse gs-t for 1500, body was ok, original 7 bolt, bone stock. I slowly modified it over a period of time, and last year i did a full build, including a 6 bolt block, evo3 16g, upgraded fuel system, ecmlink, etc. After putting 10k miles on it, my buddy came to me with an extraordinary question. He asked if i wanted to swap my 5 speed fwd drivetrain for his auto awd. At first I was reluctant because of the thought of automatic, but after some thinking I agreed. After weeks of discussing things over, we thought it would be easier just to trade cars and keep all the stuff i put into the gst. This means I had to completely strip 2 vehicles within a few days. And this is where the build starts. My goal for the car is to remove as much weight as possible. 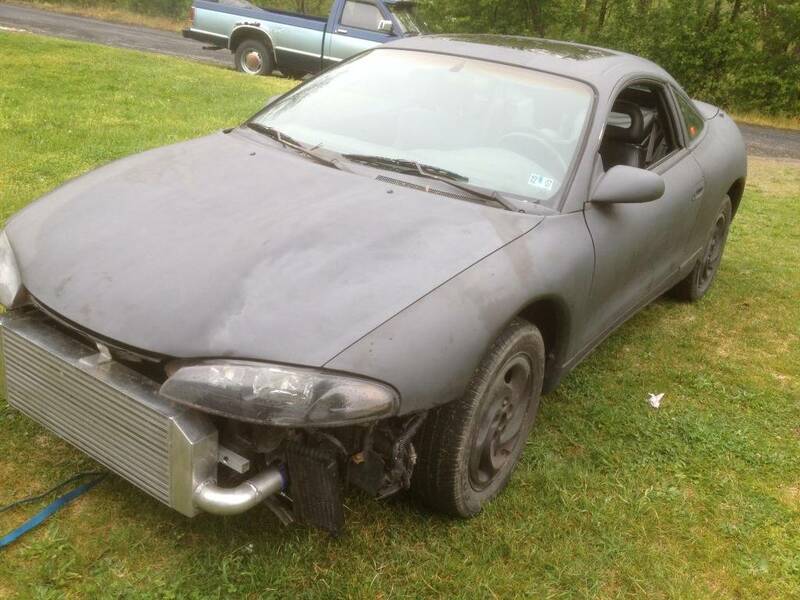 I want this to be a fast car that i can OCASSIONALY take on the street. My plan was to get this finished by the shootout but that is now out of the question due to money. 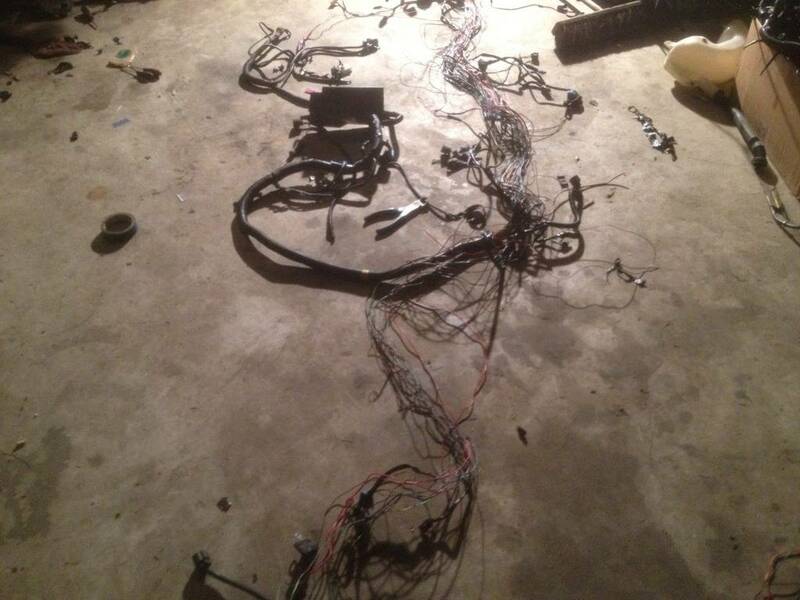 So far I have stripped the harness to what i want right now. Once the motor is in, I will be cutting and soldering the sensor wires to length to make the bay look a lot cleaner. I have to regasket the motor, send the 1g cylinder head to the machine shop, put new main & rod bearings in, and arp rod & main bolts. 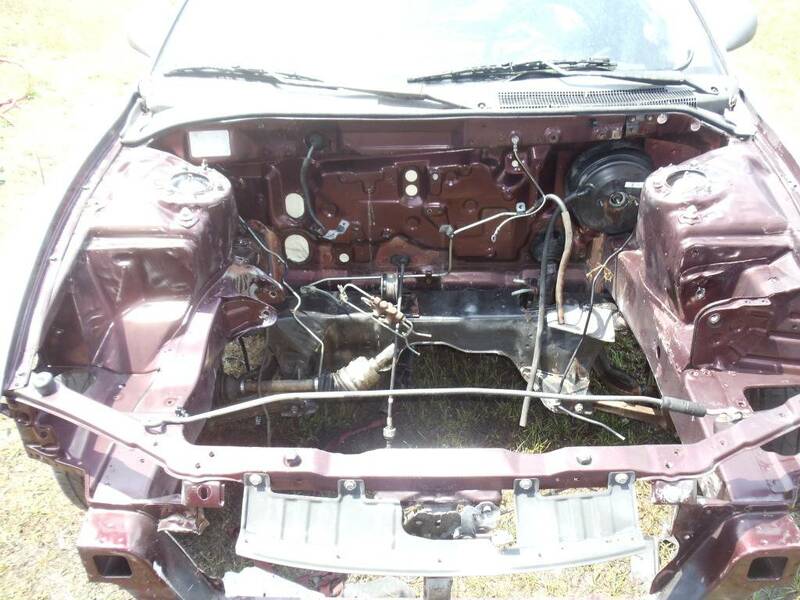 also might repaint the motor. 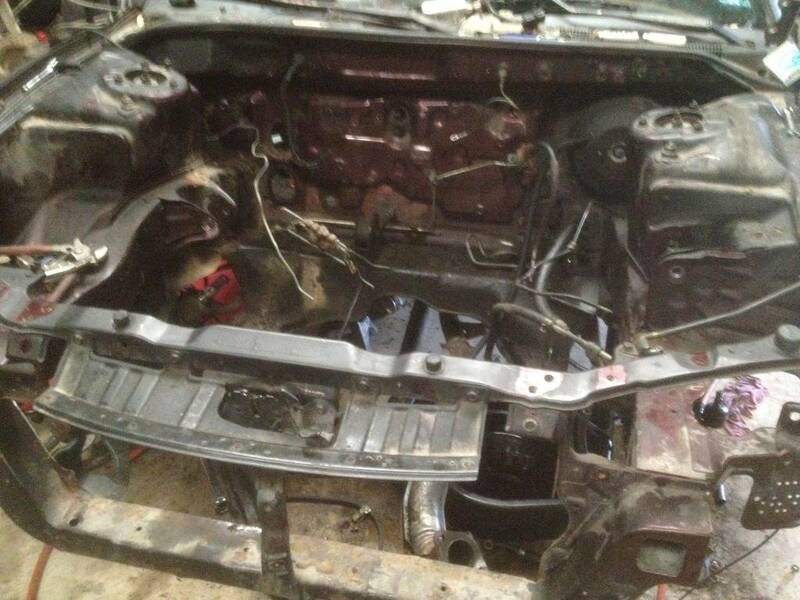 I hope to start reassembling the interior soon but i dont want to start until i get money for the 8 point cage. I also Pulled the pan on the motor. Took off number 3&2 rod caps. Bearings have no scores on them and neither does the crank, but it has a weird wear pattern, visually you can see it on the bearing but you cant feel it by running your finger over it. Ill take pics tomorrow of it. 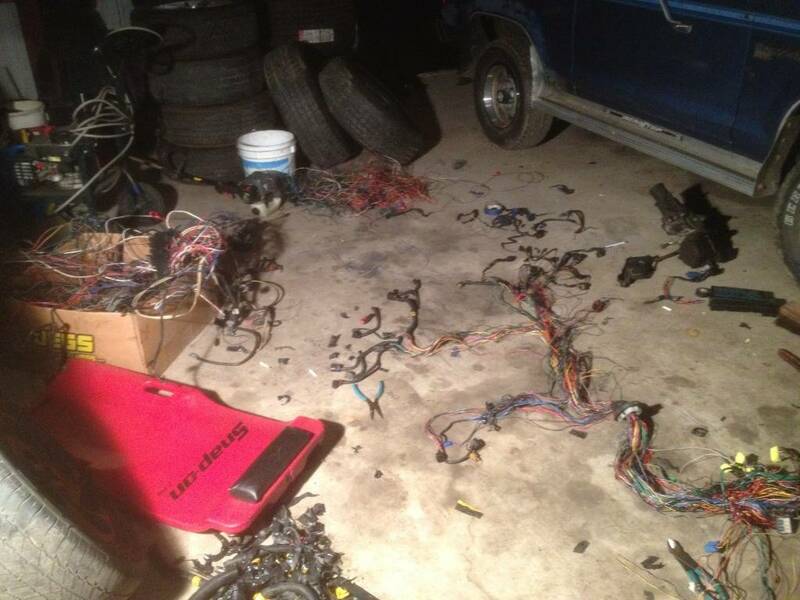 Took all the wiring out of the car and started spraying the interior where i removed sound deadner. 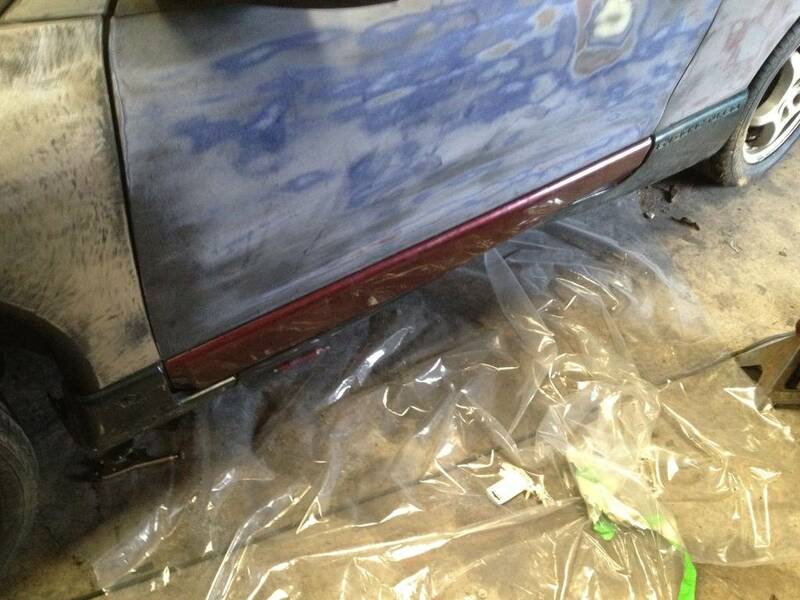 I need to beat the floor in under the coloumn as the PO decided to jack the car up improperly. 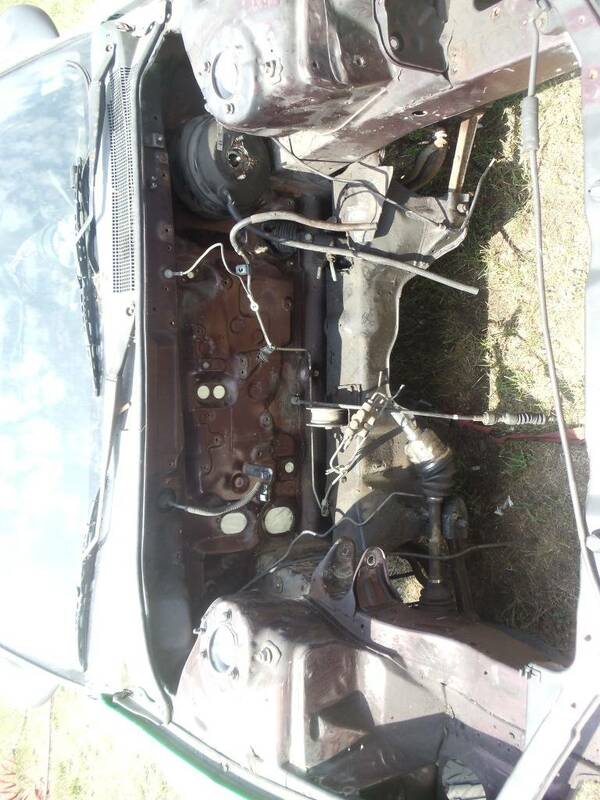 Next i will be dropping the rear subframe and taking the gas tank out. Installed the 1g steering wheel. 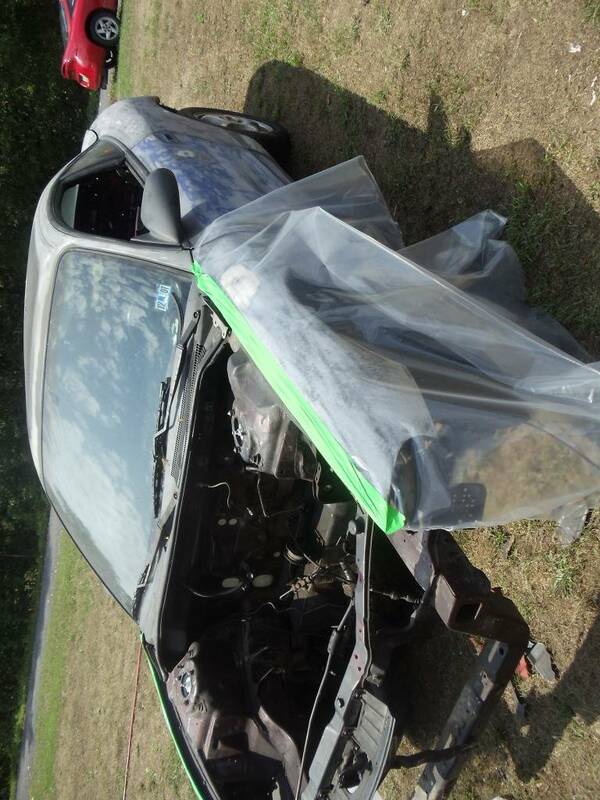 A lot lighter and better looking, and no airbag! 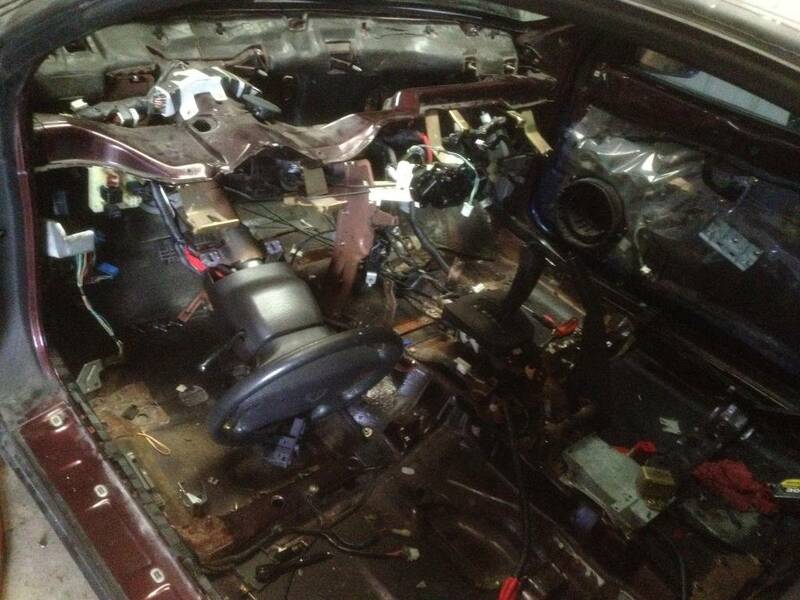 I have to beat the floor board in and then im going to start reassembling the interior piece by piece to get a feel for where i want things to go such as gauges, switches, wiring etc. 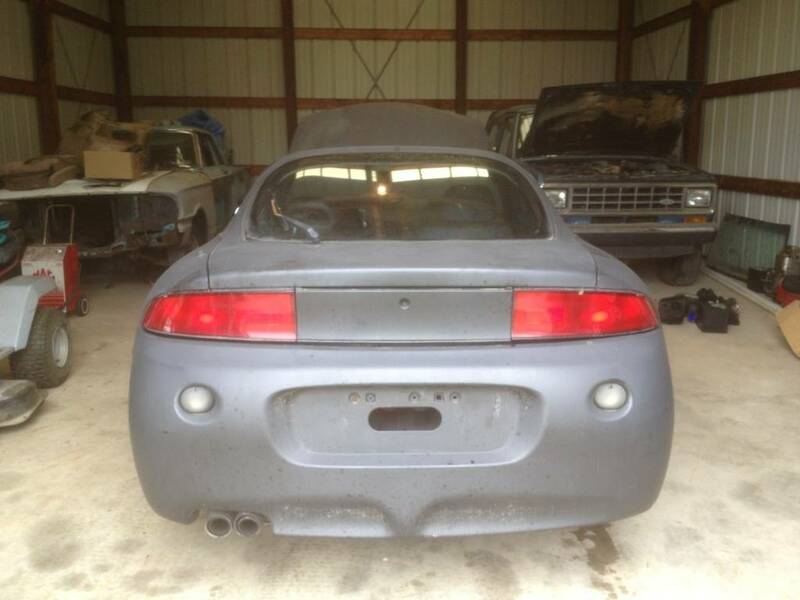 Picked up a complete 2ga talon conversion, since the po of the car switched it to an eclipse. Shaved the compressor housing because of the internal wastegate mount and glass beaded the compressor and hotside. Going to powdercoat the compressor black. 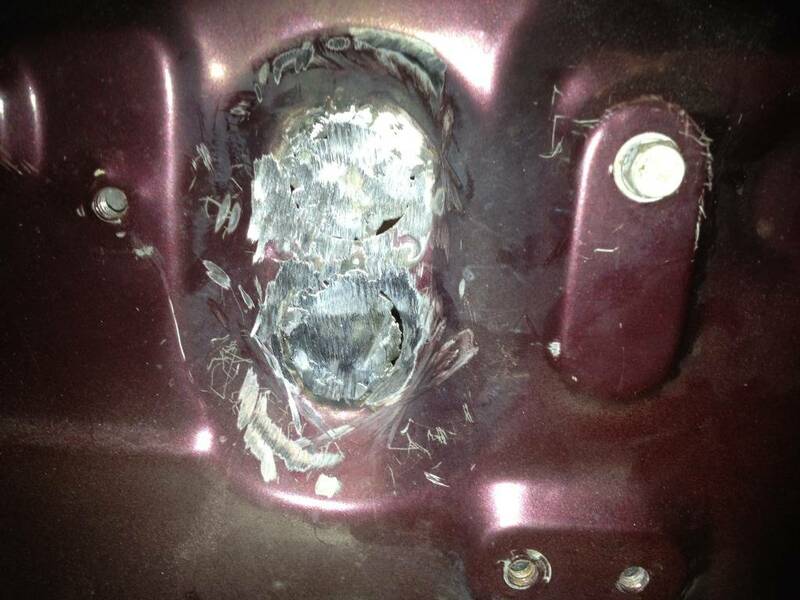 Found out the car was rear ended and the rear passenger quarter was replaced. I took a porta power and got the quarter pretty much lined up correctly. Gotta do some body work but atleast the bumper pretty much fits how it is supposed to. Also finished painting the inside of the car. Ordered my engine bearings, front case gasket kit, rear main seal, water pump gaskets, transmission gasket and filter and front axle seals. Gotta find where to get transfer case seals. 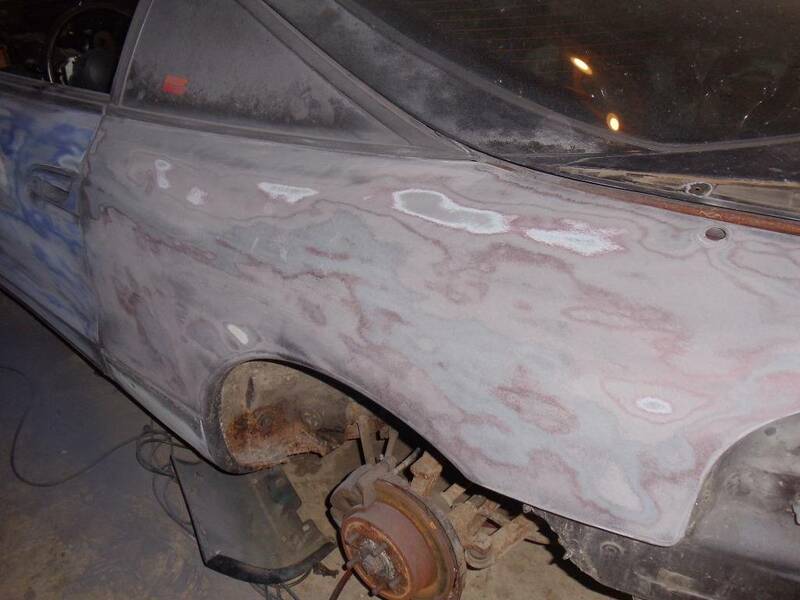 I will start body work once i get some bondo. Just going to flat black it for now, till i can save money for the paint i want. I received my bearings, and after some long thought last night, I decided to order some ARP rod bolts. Still waiting on a call from the parts store on the seals and gaskets I ordered. I am going to buy vht flame proof clear and ceramic coating for the turbo. I also sent out my 6 bolt cylinder head to get milled, pressure checked and hot tanked. Started to "ceramic coat" the hotside and cold side of the turbo with VHT flame proof cermaic based paint. I like the way it looks and im on the fence about coating my manifold. I have a couple more hours till its safe to handle and bake them in the oven. This is my first time ever DAing a car. I still have to do the roof and engine bay, bumpers and side skirts. 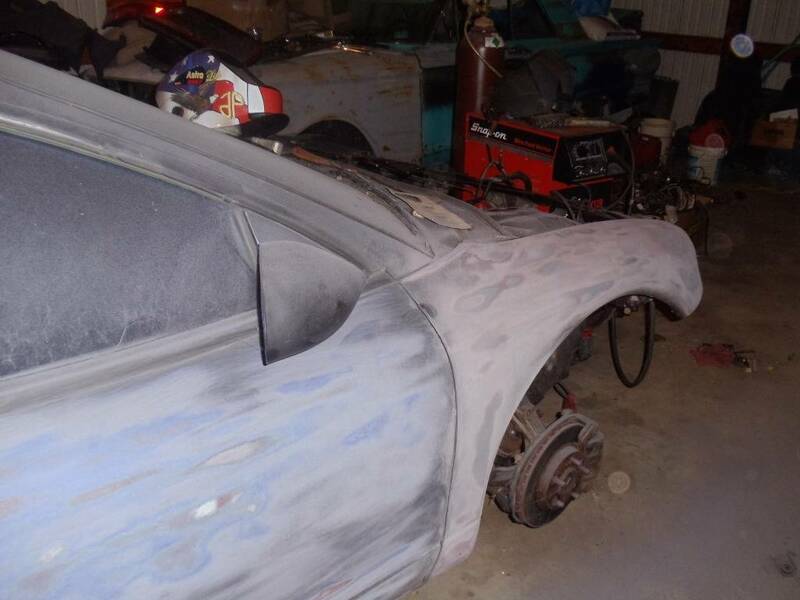 Im focusing on the body so i can fix any low spots or dents. Got more done tonight. 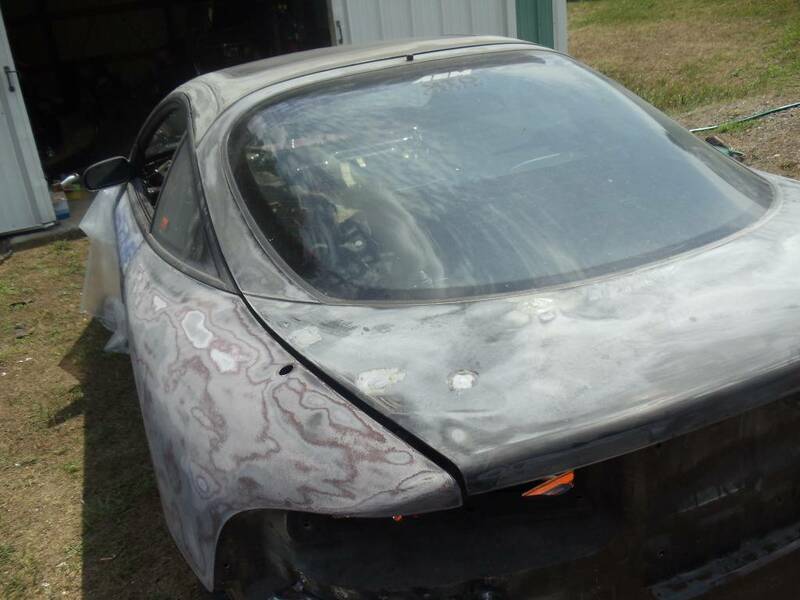 First, i welded the holes for the 2gb eclipse spoiler. I grinded the welds down as flat as i could. 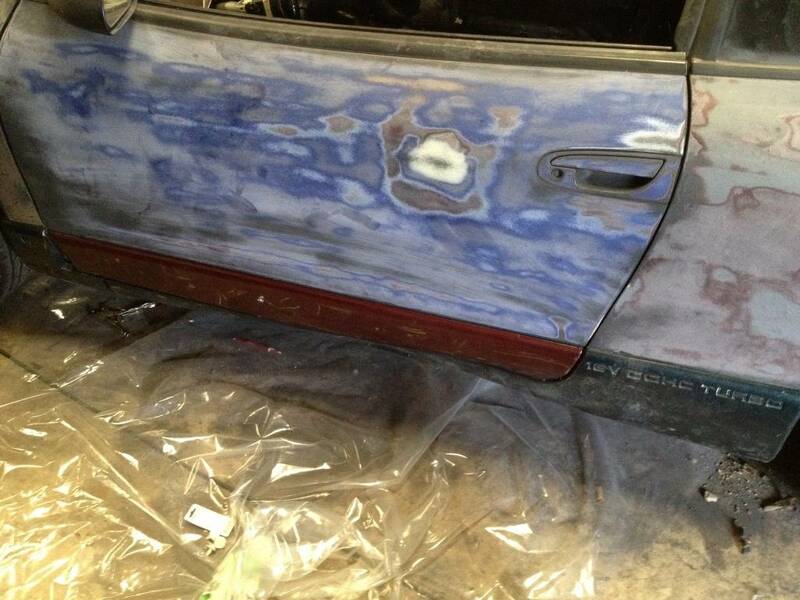 After that i used 220 grit on the DA to sand the hatch down. 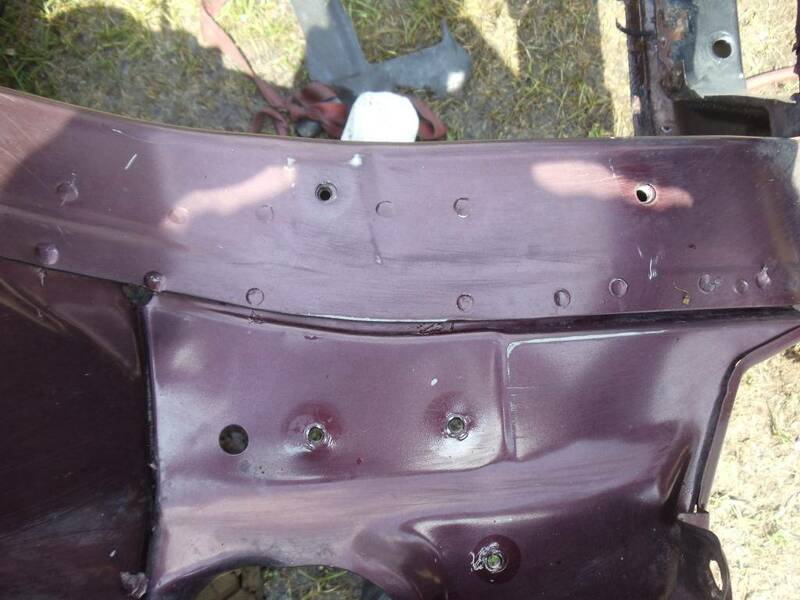 Theres whats soon to be a rot hole on the passenger rear part of the hatch by the quarter. Im probably going to cut it out and replace it with new metal. Lastly, i finished the roof and a pillars. Stupid me forgot that talons came with black tops and i couldnt tell whether or not i was sanding down to gloss black or not. It hit me halfway through DAing it, lol. So most of the roof is bare metal, but its all smooth. 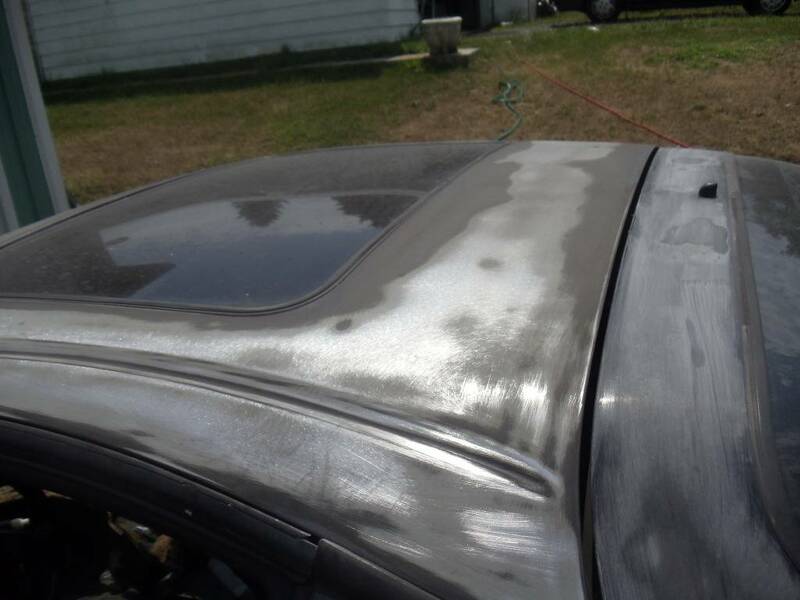 Keep in mind i dont know of the po used spray bomb or actual car paint (i think its spray bomb because the engine bay has spots that werent hit, like under the radiator mount tabs on the rad support) so i used 80 grit to DA whatever was flat black. The hatch was from my previous gst thats why i used 220 on that. I still have to do the mirrors but that will be done with the sideskirts and bumpers. 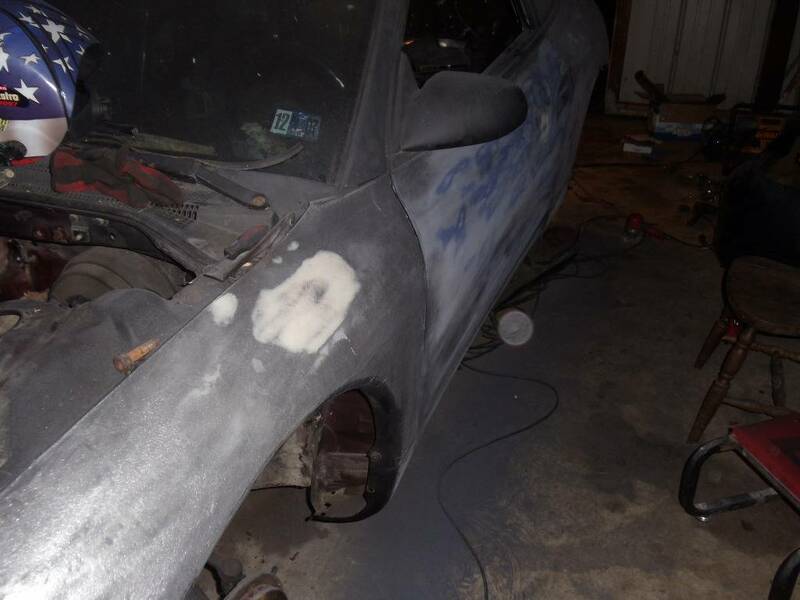 Im going to pull the windshield , quarter windows and hatch glass when i spray the car. Still debating on the panda look, gloss black, flat black or hemi orange with a black top. 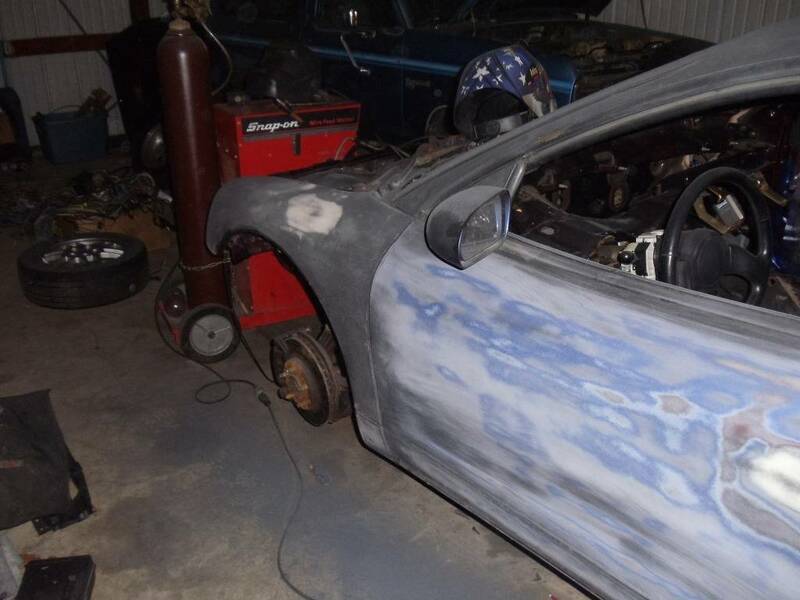 Leaning towards hemi orange depending on how the body work turns out. OK, got some more done. Put the struts in the car, took it off the jack stands and pushed it outside. Took the blow gun and got all the paint dust off. I found a few spots that need sanded but its no big deal. I decided to degrease the engine bay since every time i went to sand it the sand paper would get clogged with grease. I went to the local food store and picked up 2 cans of heavy duty easy off oven cleaner. I covered both fenders with plastic, duct taped the holes in the engine bay from inside the car and started spraying the oven cleaner. If you use this stuff, i heavily recommend wearing a mask even outside because this stuff is NASTY. I couldn't breathe standing outside. After letting it sit for a few minutes i took a brush on the heavy greased areas and hit those areas again with the cleaner. Let it sit a little while longer, then powered up the pressure washer. I highly recommend wearing goggles because if you get the cleaner in your eye it stings bad, ask me how i know. I used only one can of cleaner, and all i can say is wow. It literally took every piece of spray bomb off along with grease. Theres some spots i gotta get that were hard to reach, but for 4 dollars a can this stuff is worth it. 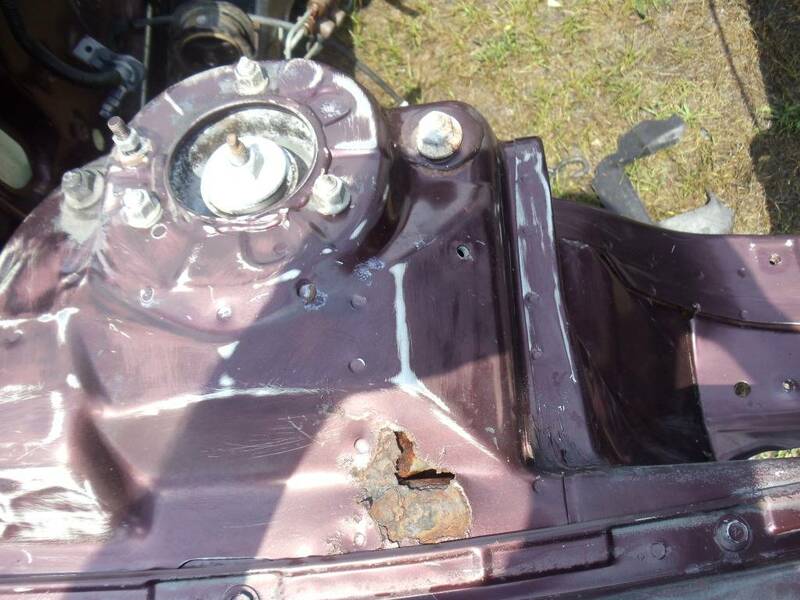 Theres a little bit of strut tower rust i have to fix, you can see in one of the pictures. Ordered a catch can, 90 degree 2.5" coupler and a m12.1.5 to -4an adaptor for the holset. Sitting down tonight and figuring out what i need for paint. 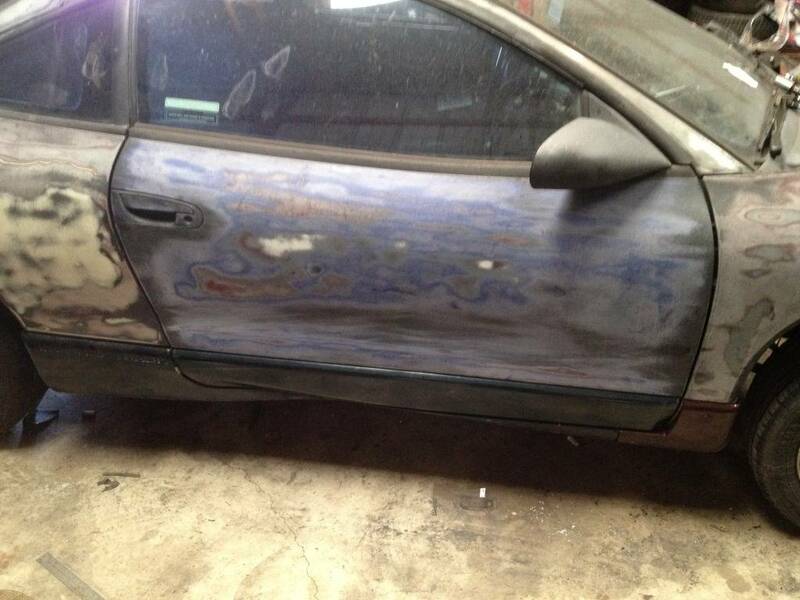 Ill probably start doing more body work this weekend. I also ordered the transfer case seals and the springs for my wastegate. Got the turbo back together. Got the front case on and changed the seal, as well as the rear main. Put the ofh on as well. 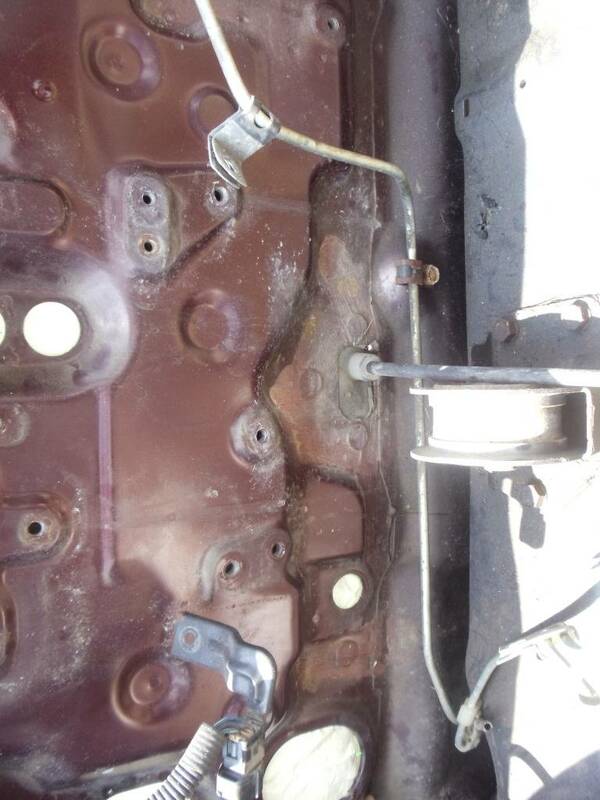 Got the oil pan on and have to retap a couple of holes. Next up for the motor is water pump and making a support bracket for the turbo. I have to weld the water pipe shut for the coolant line that will no longer be used for the turbo. Also, im still waiting on my friend maching my 1g cylinder head so i might just run the 2g head for now. I also picked up a 1g nt throttle body. 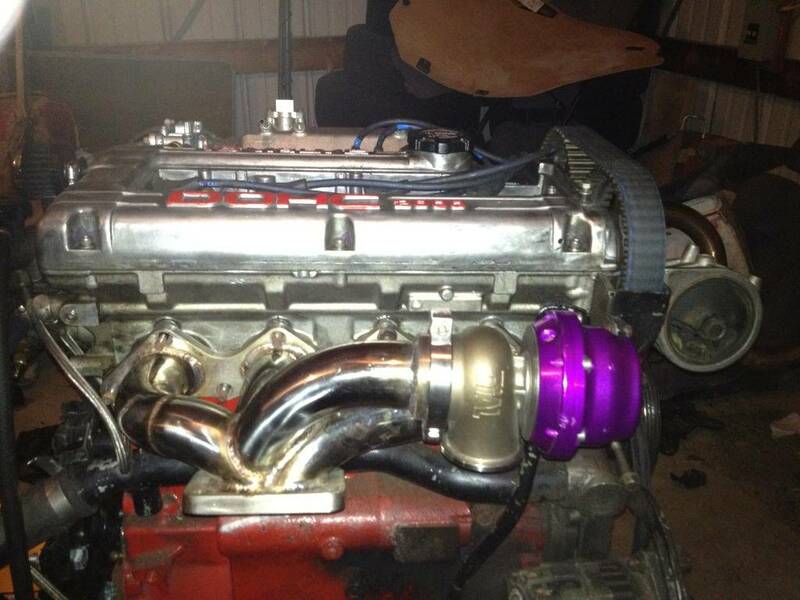 Mock fitted the turbo. I have to lightly dent the waterpipe just to be safe, but i was able to fully slide it behind the turbo. Now i have to fabricate a bracket to support the weight, this setup weighs a ton!! Got the oil feedline on tonight to mock fit it. i can make it work, but it will be a lot easier with a -4an 90 fitting. I also dented the waterpipe, and it fits great. I bought the two sideskirt pieces i was missing so i can finish DAing the car. The body pieces that i was missing or that had parts broken showed up today. I have to drill holes in the doors for the door caps. Ripped into the rust on the shock tower tonight. As expected, the little rot hole ended up being something 3x the size. Luckily, i dont have to bend a piece of metal 8 different ways to fix it. Im going to cut out a rectangle piece of metal, weld it in, then cut a triangle and close the rest of the hole. Should be a simple fix. I also welded a hole in the firewall shut that was for the ac evaporator. Problem is the welder kept melting the metal even at the lowest heat level. So i gotta finish that up too. Tonight I decided to drill the holes in the doors for the sideskirts. I put a piece of paper on my 95 gs's door and traced the holes. As I marked the talons doors and started drilling, I quickly realized the PO bondo'd the holes shut . As it made my job easier, it just pissed me off how stupid some people can be. I also started welding the rest of the engine bay stuff. 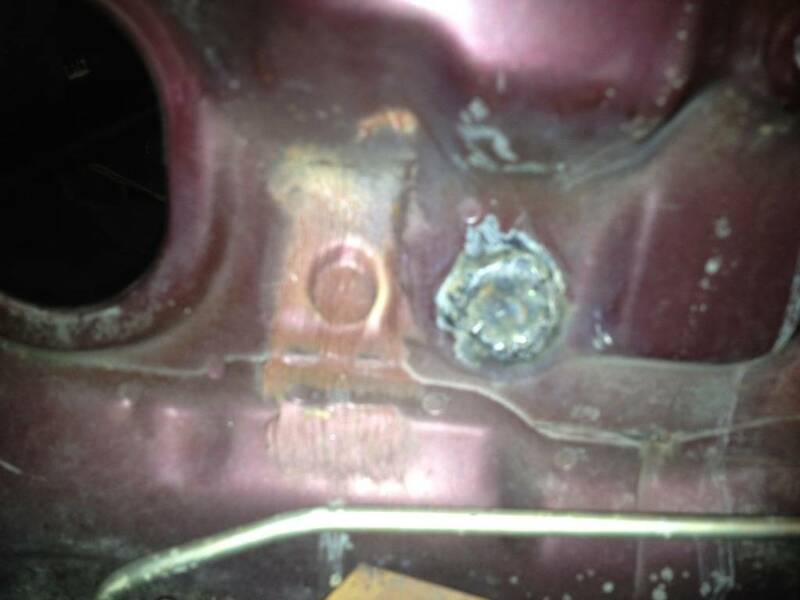 as you can see in the pics the welds aren't grinded all the way down, and there are holes. I used veryyy thin metal and my welder is just melting it like butter. Cleaned the intake as best i could with the supplies i had. I think it came out great compared to what it looked like before. 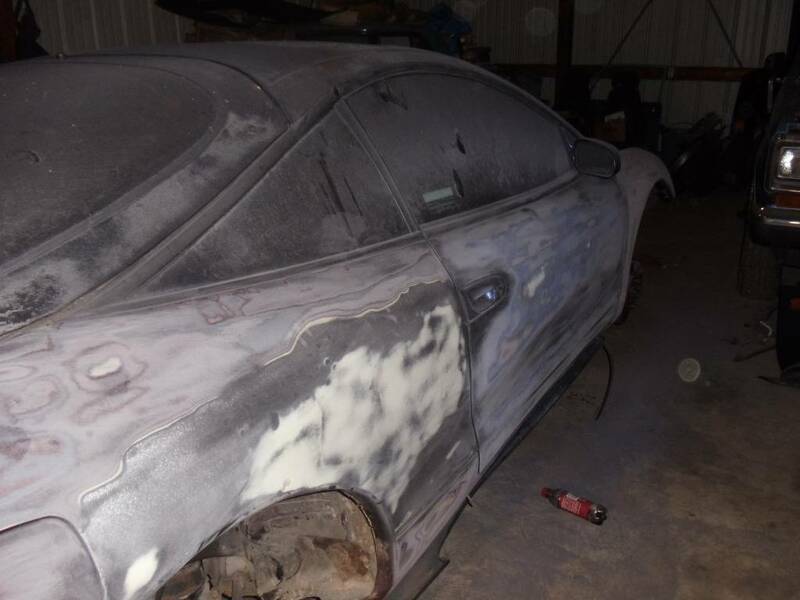 Im going to paint it black. Also going to paint the valve cover orange with black letters tomorrow. 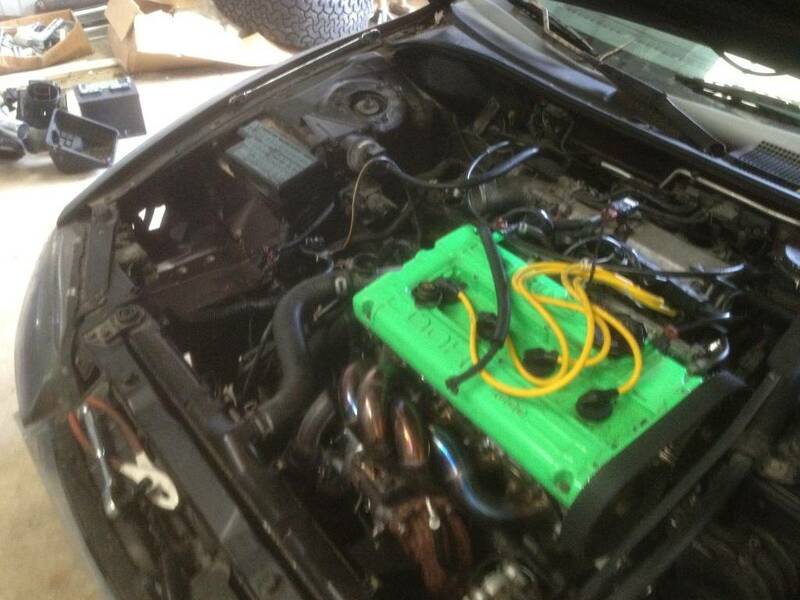 Finished welding the engine bay. Next thing for the bay is its getting degreased again because theres metal shavings EVERYWHERE, then i can start bondoing it. 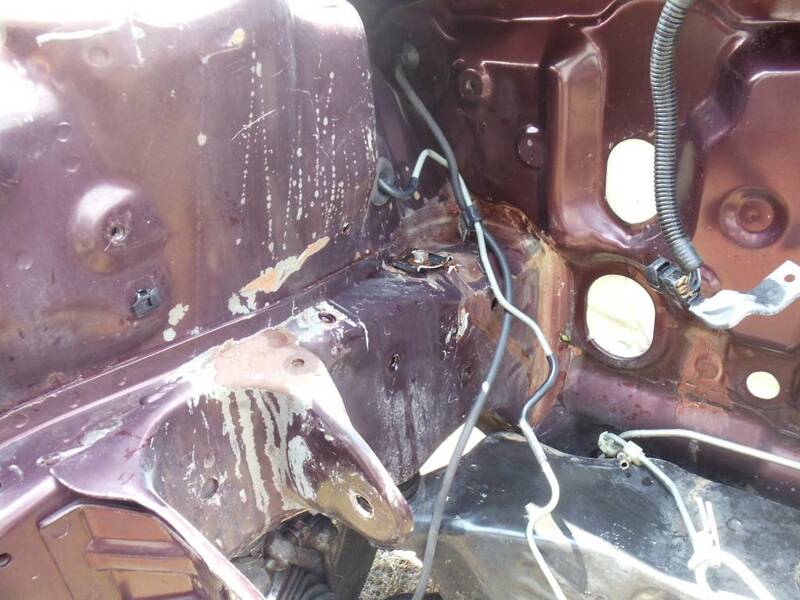 As for the rest of the car, i have to cut out the rotted piece of the hatch and weld a new piece in, and i have to weld the antenna hole shut. 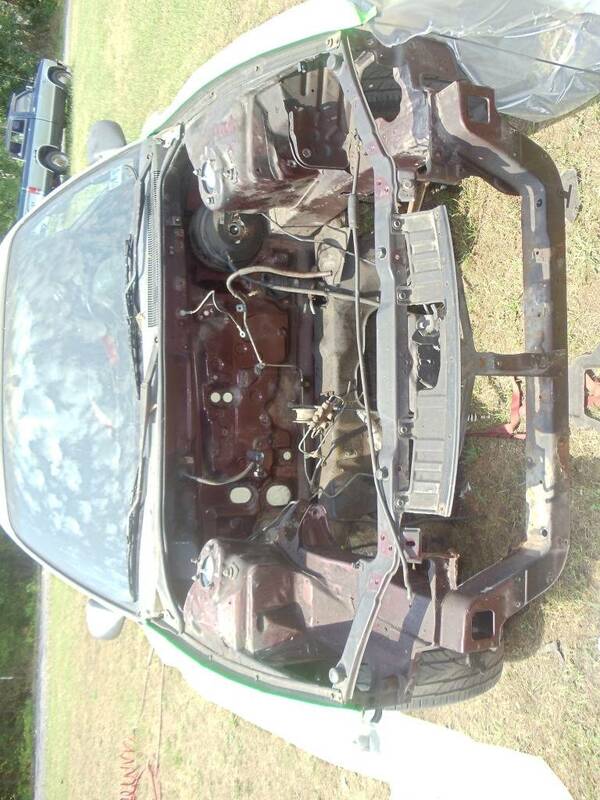 After thats done, i can finally start bonding the rest of the car that needs it. I was very satisfied tonight, as i think my mig welding "skills" if you want to even consider it that, is getting better as I welded the heater core hose holes in the firewall and only had one hole. That was a much needed confidence builder. Thought i should meantion when welding really thin metals and the welder is still melting it at lowest settings. i advise what i have always called spotting it. You weld a very short duration usually about the size of a standard tack weld, watch as it cools and the orange glow fades then move slightly to the side of the weld in the "crater" and do it again, continue around your hole and it will honestly look like a row of nickles laid over. 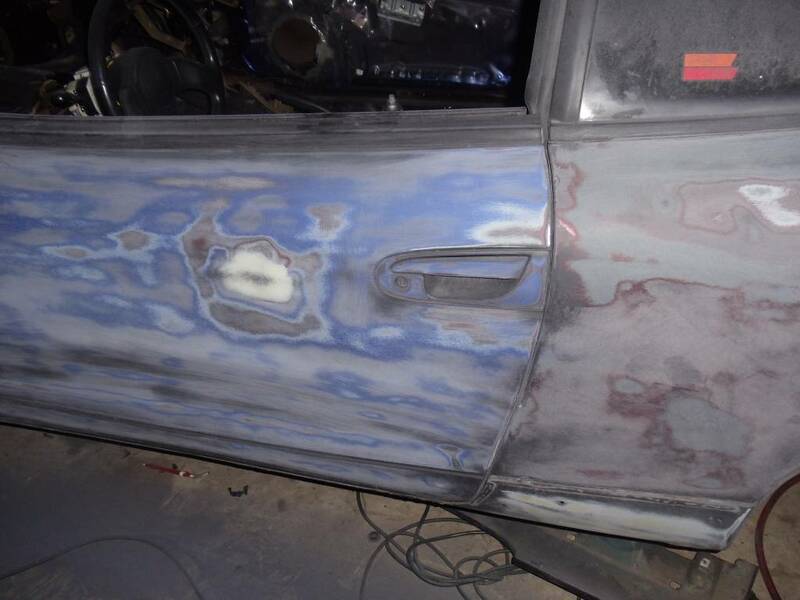 it is a ton easier to clean up as well since you arent hanging weld on the inside ( if its hollow ) or adding weld to a much larger area chasing the spots you are melting away. I am not an amazing welder by far but this works for me i have only welded since i was 12 ( 28 now) and went to welding school 2 years. I just recently started being shown and schooled on welding on a professional grade, everything prior was hobby level and self taught.I learn new stuff all the time to make my life 100% easier when welding. 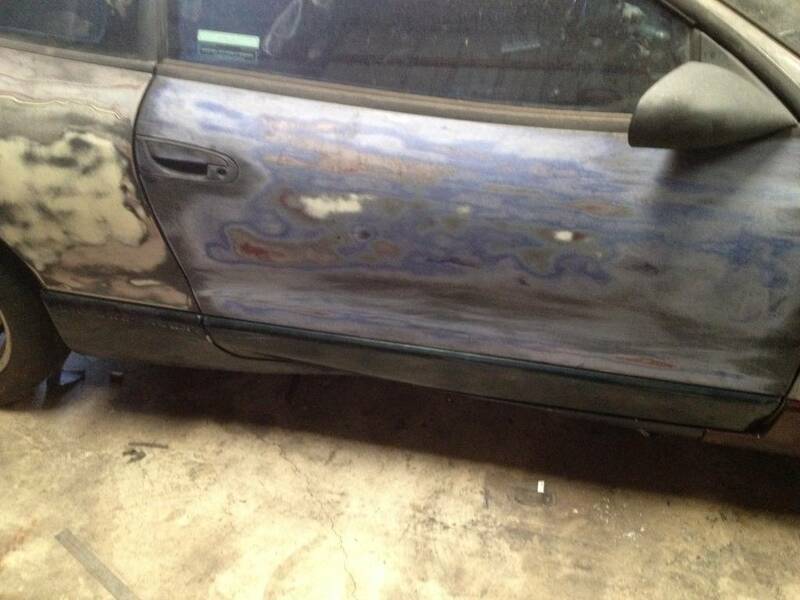 Also clean buffed objects weld the best with the best structure and appearance. Wish you were closer by i would love to offer assistance on your build. Thank you for the insight. I have been weldig for about a year and just started recently doing sheet metal. Its tough to learn but i think im getting it. 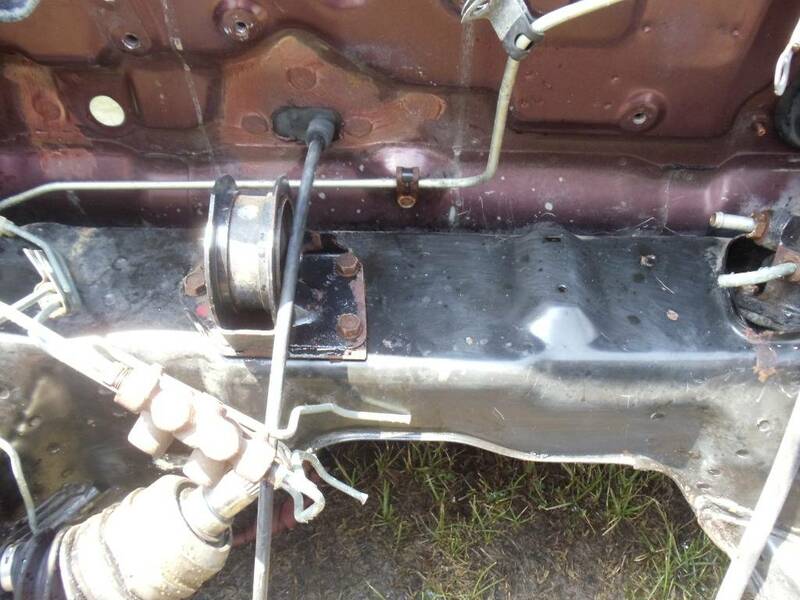 I had to take the metal i welded in the heater core holes out and weld this new piece in, and im glad i did. Its a little thicker and it welded nicely. Where are you from? Edit: i tried tacking it and it wasnt working out for me. I think i need a lot more practice with that. My father in law is a great mig welder and hes trying to help me develop the skill. Hes not in the garage to help me a lot though.